The present is a revised edition of the Life of George Stephenson and of his son Robert Stephenson, to which is prefixed a history of the Railway and the Locomotive in its earlier stages, uniform with the early history of the Steam-engine given in vol. iv. of "Lives of the Engineers" containing the memoirs of Boulton and Watt. A memoir of Richard Trevithick has also been included in this introductory portion of the book, which will probably be found more complete than any notice which has yet appeared of that distinguished mechanical engineer. The following is a revised and improved edition of "The Life of George Stephenson," with which is incorporated a Memoir of his son Robert, late President of the Institute of Civil Engineers. Since its original appearance in 1857, much additional information has been communicated to the author relative to the early history of Railways and the men principally concerned in establishing them, of which he has availed himself in the present edition. 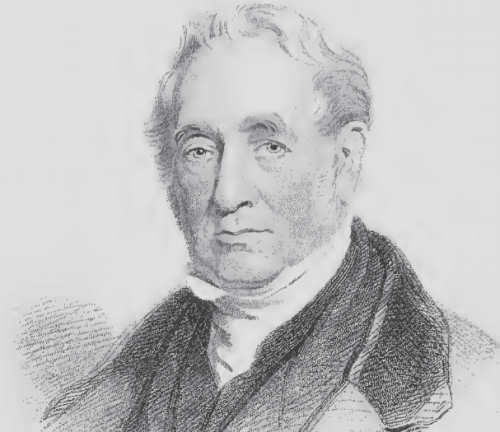 In preparing the original work for publication, the author enjoyed the advantage of the cordial co-operation and assistance of Robert Stephenson, on whom he mainly relied for information as to the various stages through which the Locomotive passed, and especially as to his father's share in its improvement. Through Mr. Stephenson's instrumentality also, the author was enabled to obtain much valuable information from gentlemen who had been intimately connected -with, his father and himself in their early undertakings—among others, from Mr. Edward Pease, of Darlington; Mr. Dixon, C.E. ; Mr. Sopwith, F.R.S., Mr. Charles Parker; and Sir Joshua Walmsley. Most of the facts relating to the early period of George Stephenson's career were collected from colliers, brakesmen, enginemen, and others, who had known him intimately, or been fellow workmen with him, and were proud to communicate what they remembered of his early life. The information obtained from these old men—most of them illiterate, and some broken down by hard work—^though valuable in many respects, was confused, and sometimes contradictory; but, to insure as much accuracy and consistency of narrative as possible, the author submitted the MS. to Mr. Stephenson, and had the benefit of his revision of it previous to publication. Mr. Stephenson took a lively interest in the -improvement of the "Life" of his father, and continued to furnish corrections and additions for insertion in the successive editions of the book which were called for by the public. After the first two editions had appeared, he induced several gentlemen, well qualified to supply additional authentic information, to communicate their recollections of his father, among whom may be mentioned Mr. T. L. Gooch, C.E. ; Mr.Vaughan, of Snibston; Mr. F. Swanwick, C.E. ; and Mr. Binns, of Clayross, who had officiated as private secretaries to George Stephenson at different periods of his life, and afterward held responsible offices either under him or in conjunction with him. The author states these facts to show that the information contained in this book is of an authentic character, and has been obtained from the most trustworthy sources. Whether he has used it to the best purpose or not, he leaves others to judge. This much, however, he may himself say—that he has endeavored, to the best of his ability, to set forth the facts communicated to him in a simple, faithful, and straightforward manner; and, even if he has not wholly succeeded in doing this, he has, at all events, been the means of collecting information on a subject originally unattractive to professional literary men, and thereby rendered its farther prosecution comparatively easy to those who may feel called upon to undertake it. The author does not pretend to have steered clear of errors in treating a subject so extensive, and, before he undertook the labor, comparatively uninvestigated; but, wherever errors have been pointed out, he has taken the earliest opportunity of correcting them. With respect to objections taken to the book because of the undue share of merit alleged to be therein attributed to the Stephensons in respect of the Railway and the Locomotive, there will necessarily be various opinions. There is scarcely an invention or improvement in mechanics but has been the subject of dispute, and it was to be expected that those who had counter claims would put them forward in the present case nor has the author any reason to complain of the manner in which this has been done. While George Stephenson is the principal subject in the following book, his son Robert also forms an essential part of it. Father and son were so intimately associated in the early period of their career, that it is difficult, if not impossible, to describe the one apart from the other. The life and achievements of the son were in a great measure the complement of the life and achievements of the father. The care, also, with which the elder Stephenson, while occupying the position of an obscure engine wright, devoted himself to his son's education, and the gratitude with which the latter repaid the affectionate self-denial of his father, furnish some of the most interesting illustrations of the personal character of both. These views were early adopted by the author and carried out by him in the preparation of the original work, with the concurrence of Robert Stephenson, who supplied the necessary particulars relating to himself. Such portions of these were accordingly embodied in the narrative as could with propriety be published during his life-time, and the remaining portions are now added with the object of rendering more complete the record of the son's life, as well as the early history of the Railway System. We have provided this book in pdf format which you can download here!